The Add Text Tool allows you to add new text items to the drawing canvas. Release the mouse button to complete the size of the text item. 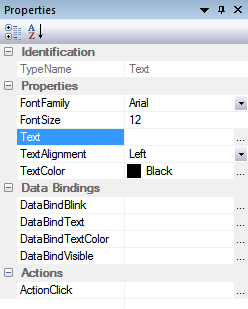 If not selected, select the text item using one of the Selection Methods. Click the Browse button to open the text editor. Use the Selection Methods and Tools to reposition text items. While in add text mode you can temporarily switch to the last select mode, by holding down the <Ctrl> key down. For the different tools in the graphics editor.